18 years to the day this man left this earth #September 13th 1996 changed not only music, but people's perception of his impact in communities all over the world. His music was abrasive, mind numbing, inspiring, realistic, factual, and pure. 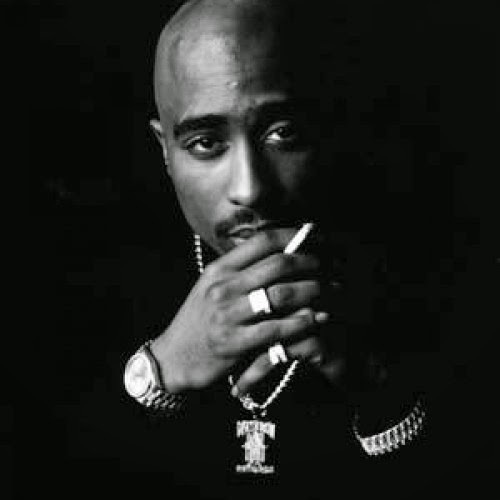 #2Pac was a man on a mission and the hollow void he left in hiphop still exists to this day 18 years later. There will never be another person like him and im OK with it. Thank you 2pac for the musical gifts but more importantly the effort you made to report your news on all levels of life. You are appreciated. Nexxlegacy is a global multimedia brand dedicated in providing direction to help strengthen aspiring artists in growing and enhancing personal goals, and aspirations. Attached will be efforts to educate children and adults across the globe in building a Legacy and carrying out a commitment to give to others based on effort, hard work and talent. When a new day begins, dare to smile gratefully. When there is darkness, dare to be the first to shine a light. When there is injustice, dare to be the first to condemn it. When something seems difficult, dare to do it anyway. When life seems to beat you down, dare to fight back. When there seems to be no hope, dare to find some. When you’re feeling tired, dare to keep going. When times are tough, dare to be tougher. When love hurts you, dare to love again. When someone is hurting, dare to help them heal. When another is lost, dare to help them find the way. When a friend falls, dare to be the first to extend a hand. When you cross paths with another, dare to make them smile. When you feel great, dare to help someone else feel great too. When the day has ended, dare to feel as you’ve done your best. Nexxlegacy is a global multimedia brand dedicated in providing direction to help strengthen aspiring artists in growing & enhancing personal goals, and aspirations. Attached will be efforts to educate the children and young adults across the globe in hopes that a step toward building a Legacy is carried out with pride, and with a commitment that is limitless.